Track your income and expenses ? ? ? Manage accounts receivable (invoice customers and receive payments) ? ? ? Invite your accountant to access your data ? ? ? Download your bank and credit card transactions ? ? ? Add payroll service ? ? ? Add online payments service ? ? ? Print checks instead of manually writing them ? ? ? Manage accounts payable (schedule & pay vendor bills) ? ? ? Create purchase orders to place orders with suppliers ? ? ? Track inventory using FIFO method ? ? ? Prepare & issue 1099s to contractors ? ? ? Track billable hours by customer ? ? ? Create & manage budgets ? ? ? Track profitability for multiple locations ? ? ? 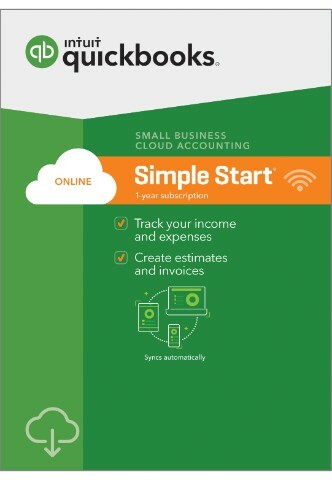 When doing a QuickBooks™ Online comparison, Simple Start has the least impact on your pocket book but does not offer the additional features that both Online Essentials and Plus offer. Simple Start is generally right for a business that is currently tracking income and expenses using one or more manual options like the “shoebox” method or Excel spreadsheets. Simple Start is very easy to set up and compared to Essentials and Plus, it is the simplest to use. 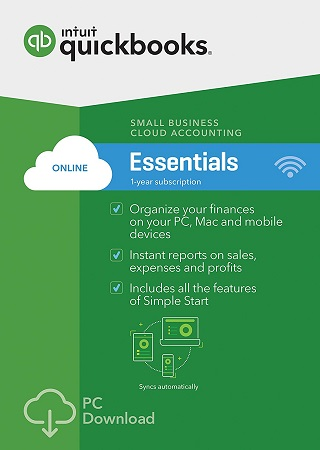 If you do find that you DO need one or more of the above features to run your business, then keep reading about QuickBooks™ Online Essentials and QuickBooks™ Online Plus. 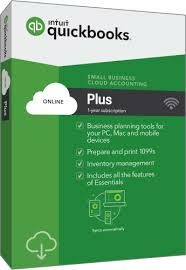 QuickBooks™ Online Essentials is generally right for a business which may currently be using a combination of manual processes like Excel spreadsheets and Word documents to manage their bookkeeping. This product is also great for those of you who are currently using QuickBooks™ Desktop and want to convert to a QuickBooks™ Online solution. Setup is easy when you have your data in an Excel spreadsheet or a QuickBooks™ Desktop file, because you can easily import it into your Online Essentials account. If you DO find that you need one or more of the above features to run your business, then QuickBooks™ Online Plus is generally going to be your best option. QuickBooks™ Online Simple Start or Essentials and wants to upgrade to Plus to access additional functionality offered like inventory tracking, purchase orders, budgeting and tracking profitability by location. If you still aren’t sure which version is right for you, here is a more in depth comparison of each. Manage accounts payable (schedule & pay vendor bills) ? ? Creating & managing vendor information such as remit to address, due dates, contact information, etc. All three versions of QuickBooks™ Online allow you to provide access to your accountant on top your user access. With Essentials, you can give two additional users access to your data. You can also specify which areas of QuickBooks™ these users have access to. For example, if you have a bookkeeper who is only responsible for invoicing customers, then you can give him/her access to just invoicing customers and nothing else. Learn more about the different kinds of QuickBooks™ user accounts. Scorecard – With the Scorecard, you can compare your performance in net profit margin, sales growth and cash flow with other businesses in your industry. Profit & Loss Detail – The Profit & Loss Detail report shows year to date transactions instead of just totals like the Profit and Loss Summary report. The chart below highlights the ten key differences between Essentials & Plus. Create purchase orders to place orders with suppliers ? ? Track inventory using FIFO method ? ? Prepare & issue 1099s to contractors ? ? Track billable hours by customer ? ? Create & manage budgets ? ? Track profitability for multiple locations ? ? Number of users who can access data QuickBooks™ Online Essentials comes with five user access and up to two accountant user access. Profit & Loss by Class – This report shows revenue and expenses categorized by department or location. Transaction Detail by Account – This report lists individual transactions, subtotaled by each account on your chart of accounts. Profit and Loss by Class – This report shows revenue and expenses categorized by department or location. Transaction Detail by Account – This report lists individual transactions subtotaled by each account on your chart of accounts. Create purchase orders – QuickBooks™ Online Plus allows you to create purchase orders and email them to your suppliers to place your product orders. Track inventory – If you need to track inventory of products that you sell, Plus allows you to track your inventory using the FIFO method. Print & prepare 1099s – If you hire contractors who you need a 1099, you can manage this process using QuickBooks™ Online Plus. Track billable hours by customer – There is a time tracking feature in QuickBooks™ Plus that allows you to keep track of the hours that are billable back to your customers. Create & manage budgets – QuickBooks™ Online Plus allows you to create monthly, quarterly, or annual budgets so that you can estimate future income and expenses. Track profitability for multiple locations – if you have multiple store locations, you can track sales, expenses and overall profitability of each location in QuickBooks™ Online Plus.